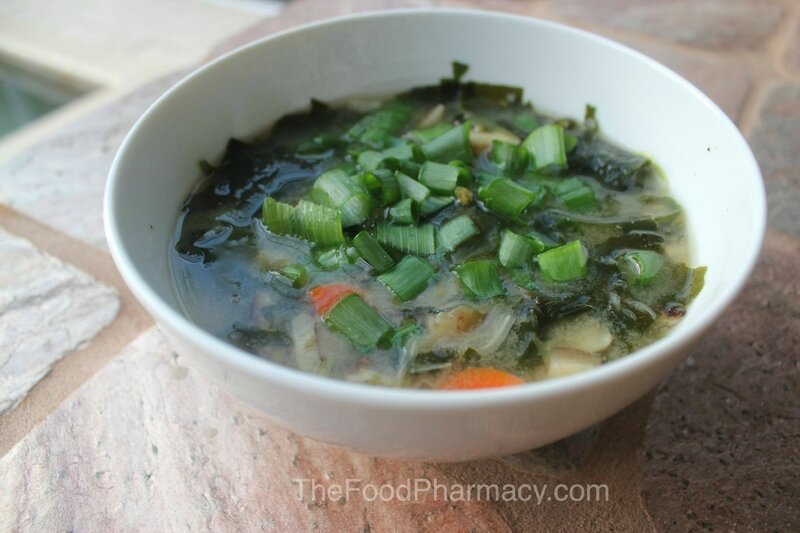 Quick and easy vegan miso soup. We love to add nutritious, antioxidant rich mushrooms. Yum! Add the carrots and cook for 3 minutes. Add the garlic and mushrooms, and wakame and cook for 3 minutes. Add the tofu and cook for 2 minutes. In a small container, dissolve the miso in 1/4 cup of broth and mix well. Add miso to soup and remove from heat. Do not boil the soup after miso has been added as high heat will destroy the enzymes in the miso.